'C'Est La Fête' (Loïc Tasquier, R. 2018). Seedling G204A. MTB, diploid, late midseason bloom. Standards and style arms yellow; falls purple-brown, radiating purple-brown veining on white around beard half way down, few white speckles on the rest, small tan rim dotted purple-brown, purple-brown hairline rim; thin gold-yellow beards, white at the end. 'Ding Dong Bell' X 'Keirith. 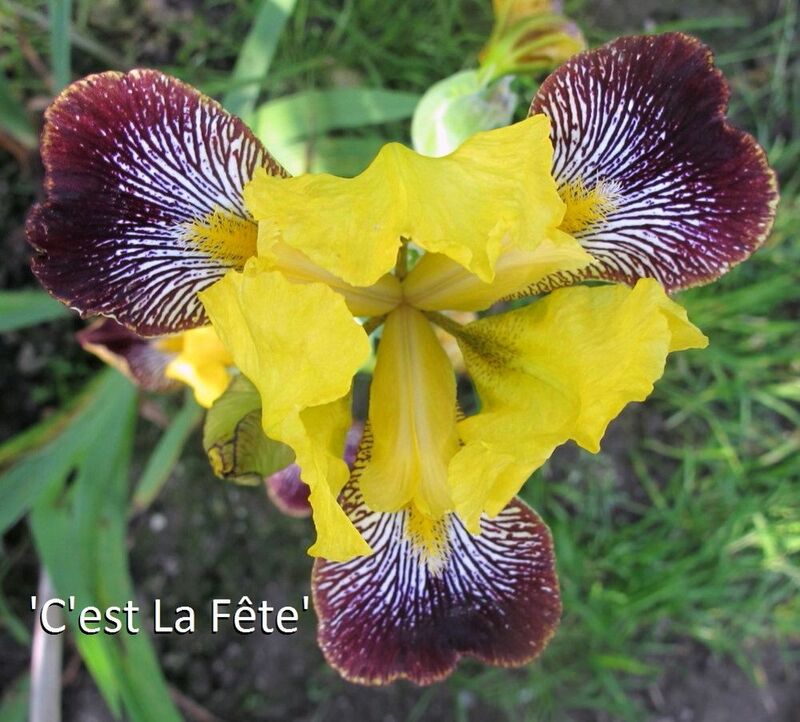 Les iris de Loïc Tasquier 2019.